By the author of the "New York Times"-bestselling "Labyrinth," a story of two lives touched by war and transformed by courage. In the winter of 1928, still seeking some kind of resolution to the horrors of World War I, Freddie is traveling through the beautiful but forbidding French Pyrenees. During a snowstorm, his car spins off the mountain road. Dazed, he stumbles through the woods, emerging in a tiny village, where he finds an inn to wait out the blizzard. There he meets Fabrissa, a lovely young woman also mourning a lost generation. Over the course of one night, Fabrissa and Freddie share their stories. By the time dawn breaks, Freddie will have unearthed a tragic, centuries-old mystery, and discovered his own role in the life of this remote town. 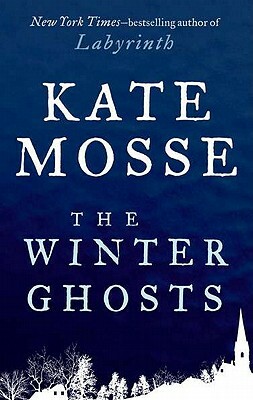 Kate Mosse is the author of the "New York Times" bestselling "Labyrinth" and "Sepulchre" and the Co-founder and Honorary Director of the prestigious Orange Prize for Fiction. She lives in England and France.